‘The Last Word’ are the final section of school assemblies, where a senior student of the school gives a speech about a lesson they have learned and leave the audience with something to think about before the Friday school day starts. Look around the room. Isn’t it crazy to think there is 2500 people in here. Not just the faces you see, but people with their own thoughts, strengths, weaknesses, and insecurities. But these details pass us by, because of course we are stuck in our own thoughts. But the people in this room is what makes up our school experience. We’ve all heard the saying that “who you are in high school is who you will be for the rest of your life”, so let me ask you this. Are you really happy with the person you are today? I like to think of it like this, if I met myself, would I be friends with me? When I was a junior, I did not like myself at all. I thought I had no potential, and I was doomed to barely scrape by because I struggled in class and I didn’t believe in myself. I was so concerned with what people thought of me that I would risk my integrity just so I could say something stupid to the teacher so my peers thought I was ‘funny’. I was a people pleaser but if I met myself at that time I definitely would not have been my friend. 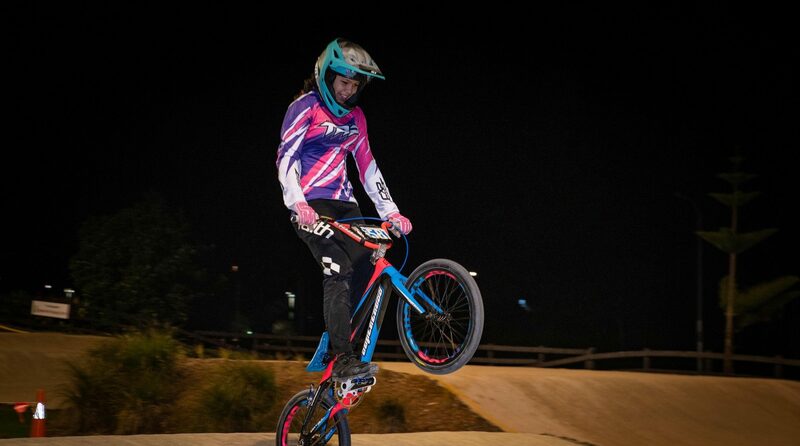 A turning point in my life was when my BMX coach made me her priority. She put me first and used her own time to push me to be the best athlete I could be. She showed me that my potential goes 100 times further than I think. And look where I am today, competing in the sport at an international level. I realised that the way she made me feel was how I wanted to make others feel. It took me my first 3 years of high school to realise that what makes me who I am isn’t what people thought of me, it’s what I thought of myself and how I decided to treat others. The minute I stopped trying to impress people, but instead saw everyone’s unique beauty I realised there’s no need to try impress. If you see someone and think their hair looks good, don’t just think it, say it, your words go far more than you know. Because what people remember most about you isn’t your reputation, but how you made them feel. So Macleans, if there is anything I can urge you to take away from the message today, is to make people your priority.